Free is good right? That's what I thought when I spotted an old chair outside of a thrift store with a sign that said FREE. I kind of felt guilty taking it because I didn't purchase anything there that day, but I had great plans for that chair and couldn't help myself. I wanted to make it into a planter and it was the perfect chair for it. It was missing the seat and it was already weathered. I stapled a piece of old chicken wire into the seat area. I tried to shape it into a bowl to hold the dirt. and also allow for water drainage. 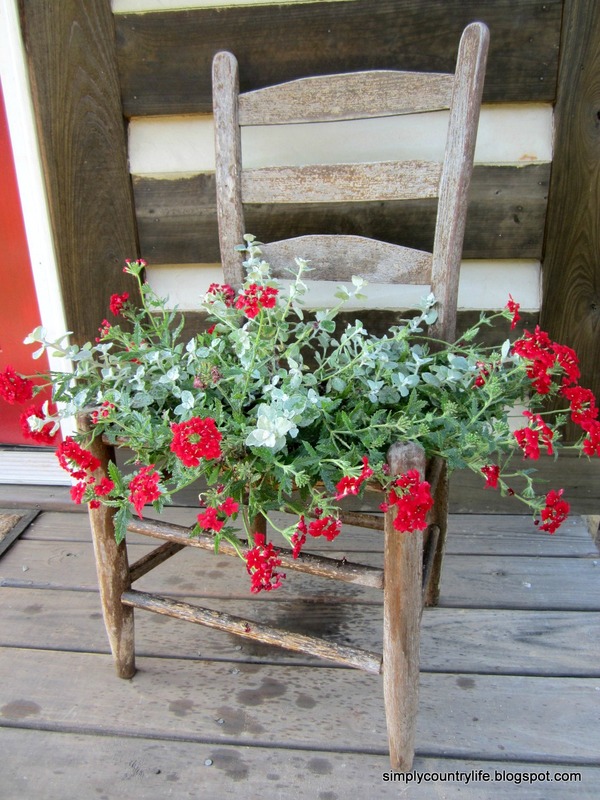 Lastly, I added a pretty red verbena plant to match my red door. 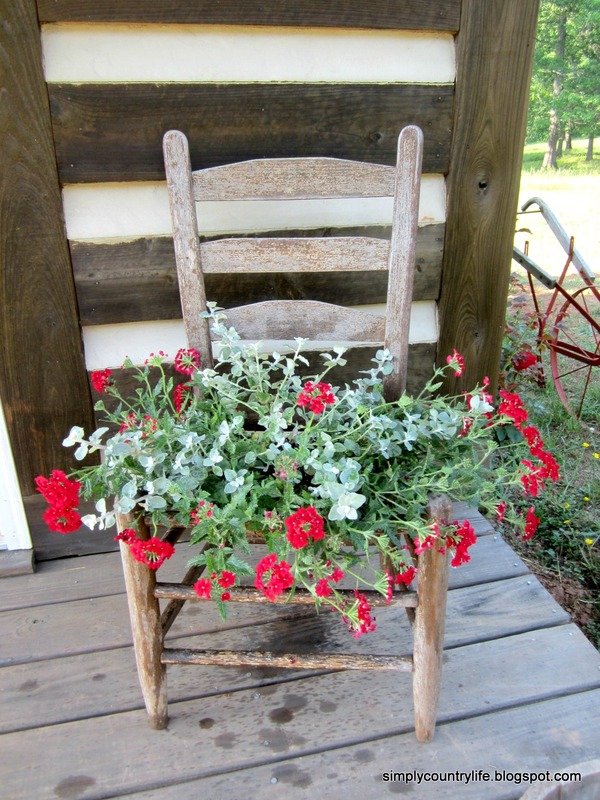 Have you ever made a chair planter before? If so, how did you make it? 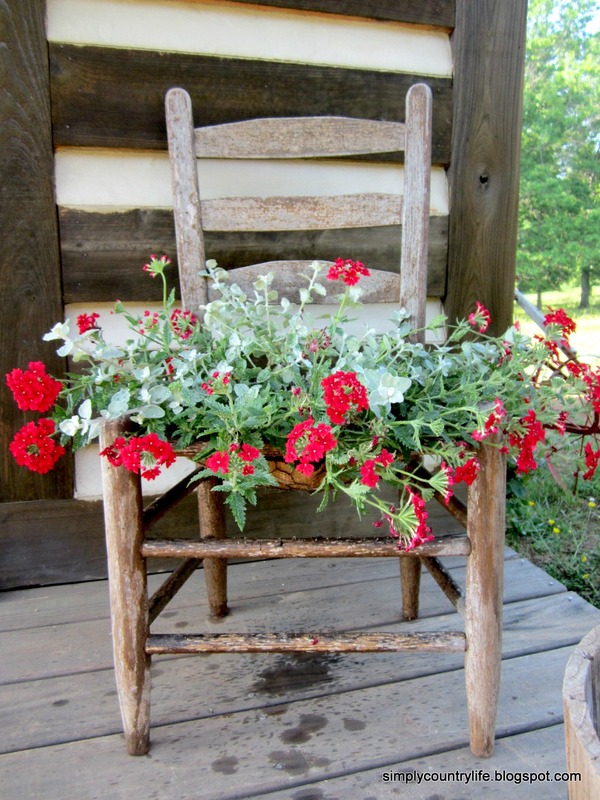 I've seen so many different variations of chair planters. To keep this simple and inexpensive, I used items I already had to make this one. Thanks Dawn. I'd love to see what you do with yours if you make one! I have two in my garage right now that came from my grandmother's house and I just need the time to make them into planters. I love how simple and pretty yours is. Thank you Jennie. I love using pieces with family memories. I was just recently given my grandmothers picnic basket and I want to clean it up and use it inside to hold a plant. So do just set the plant on the burlap and not in a pot? !